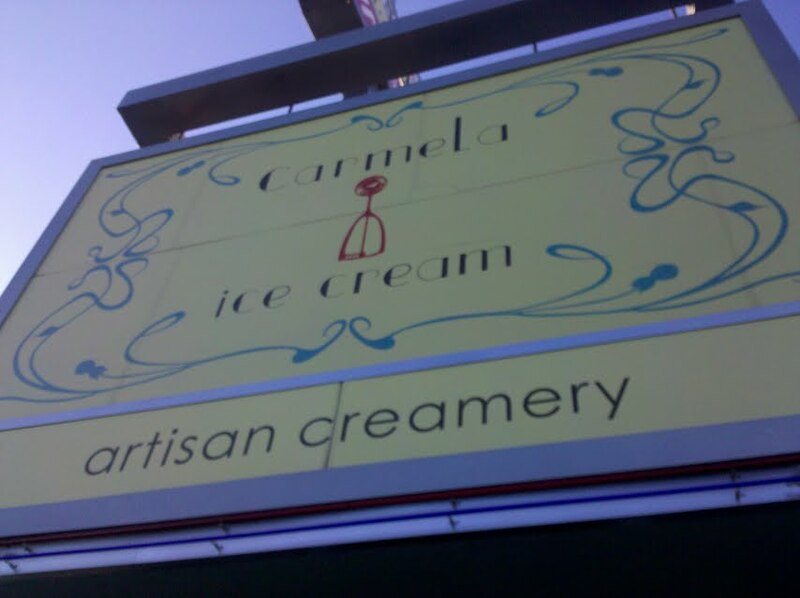 Carmela Ice Cream began selling ice cream and sorbet at local farmers markets in 2007. Our dynamic flavor palate focuses on garden-inspired ingredients such as herbs and spices, flowers, and seasonal fruit. This is the salted caramel which definitely had little bits of caramel and plenty of saltiness to go with the sweet, creaminess of the ice cream. I got mine in a cup, but didn't know you can get little mini waffle homemade waffle cones to go with it. I enjoyed it and just loved the simple, clean ambiance. They have a little freezer filled with 3 different sizes of pre-packed ice cream to take home and enjoy. I got a couple of pint sized ones for a dinner I was going to and picked up the salted caramel along with the brown sugar vanilla bean. My friends weren't as crazy about the salted caramel, because they thought it a bit too salty...but loved the brown sugar vanilla bean. Actually when I had them side by side...I seriously fell in love with the vanilla too! And I am definitely not normally a vanilla girl...at all, unless I'm having a sundae or chocolate cake then it's gotta be vanilla...but not when I'm just enjoying a scoop of ice cream. I would most definitely get theirs again and again...it was soooooo delicious! They are offering ice cream making classes in July and I think one in August, and I believe they will be making Lemon Verbena Vanilla Bean and I think the watermelon sorbet? You'd have to double check. Anyhow...I love lemon verbena and wish I could take the class. If you have the time and money ($100) you should check it out! Thank you to my wonderful dear friend Cheryl and her daughter Ruby for introducing this most fabulous ice creamery to me!! 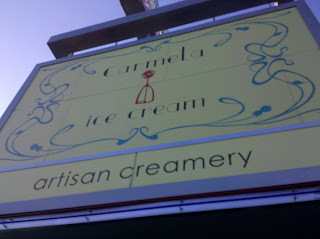 Carmela is absolutely lovely, and their products taste exactly home made (by home, I my my house, with my ice crema machine). Still, the ice cream is just too rich, with the flavors just rather tame. Until Mother Moo opens nearby, we vouch for Bulgarini. Thank you sinosoul for your comment. I will definitely have to go check out Bulgarini. What are your favorite flavors?